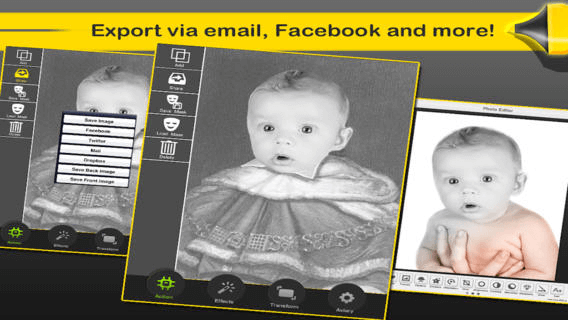 The main feature of this application is that it will permit you superimposing pictures. Definition of SUPERIMPOSE: to place or lay over between images. Finally an easy way to create professional looking pictures with imposing effects without any fancy equipment! After this app forget about complicated software , expensive equipment or companies that don't deliver what you were hoping for! 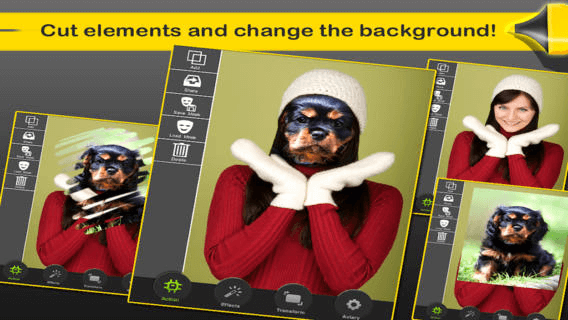 •Add ANY background to your picture! 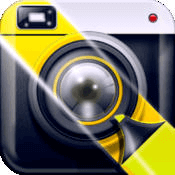 •Choose from HUNDREDS of photo effects! •Blend multiple pictures for an amazing look! •Share instantly via email, SMS, Facebook, Twitter and more! 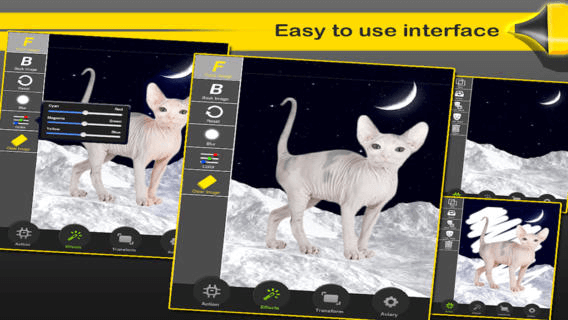 •EXTREMELY easy to use interface with amazing results! The sky is the limit to the possibilities your creativity will take you to... It only depends on you... What are you waiting for? Start blending and imposing!